Established in 1855 by Ashael P. Finch as the Finch Company, Finch Manufacturing & Technology has a history of quality manufacturing dating back more than 160 years. Originally based out of Scranton, Pennsylvania, Finch remained a family-owned company well into the 20th century, primarily serving the coal and railroad industries. 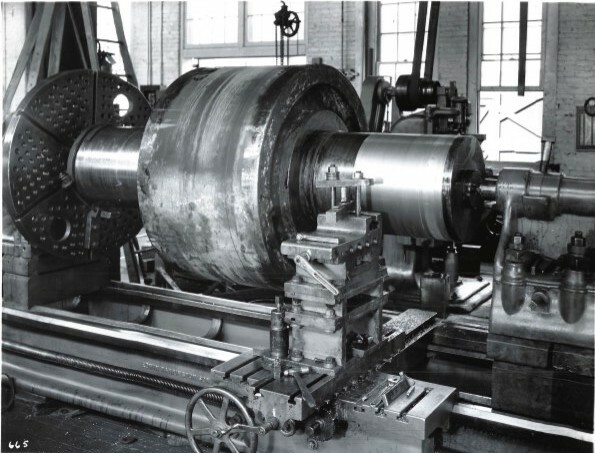 For years, Finch manufactured a turbine water wheel, an invention of a senior partner, as well as portable engines, mining machinery, circular saw mills, iron fronts for buildings, and steam heating apparatuses. In 1880, A.P. Finch retired, leaving his son, Irving, as the sole proprietor. Throughout this decade, Finch employed approximately 100 people. At the start of the 1890s, a great fire severely damaged the business. 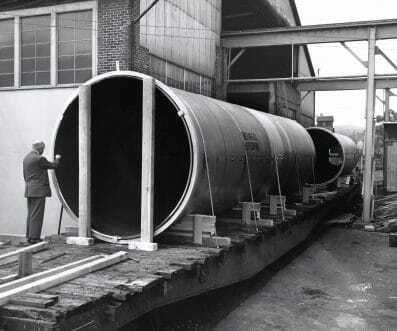 Rather than close, the plant was rebuilt, spanning 190 feet by 87 feet and employing more than 200 people, making Finch one of the leading industries in Scranton. Into the 20th century, Finch manufactured sewer covers that can still be found on the streets of Scranton. Additionally, Finch repaired machinery for the coal mines of Scranton and drilled the inside of U.S. Navy battleship guns throughout World War II, receiving the Navy’s “E” award for excellence. 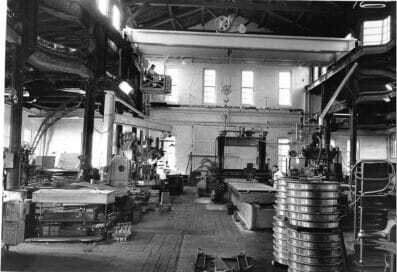 In 1960, while the Company was operating as Finch Manufacturing Co., the business relocated to West Pittston, Pennsylvania. The relocation signified a strategic shift for the Company as the new location offered a more expansive machine shop, which features railroad access and a shop that is 100% covered by cranes. As activity in the coal and railroad industries ceased, Finch’s business remained strong due to the Company’s unique manufacturing capabilities. In 2008, as the economy of the United States experienced one of the greatest recessions in history, Finch Technology underwent hardships of its own. As a result, Finch was purchased by a group of investors with the goal of rebuilding Finch to be the manufacturing powerhouse that it once was. Since then, Finch has experienced significant growth due to the Company’s customer-centric focus and due to investments made in the business which have increased overall capacity. Today, Finch Manufacturing & Technology crafts steel components of all sizes for rotary kilns, asphalt dryers, waste incinerators, mining equipment, and other large scale industrial fabrications. Finch’s talented in-house engineering team has the technical knowledge and project management capabilities to meet every customer’s expectations on-time and without error. We are proud to maintain long-term customer relationships and welcome new clients in need. What sets Finch apart is our unique and flexible manufacturing capabilities, specialized equipment, skilled engineering and project management, 24/7 field service and maintenance, ten thousand original engineering plans, and our customer-centric process. Finch’s team has more than a century of proven success in designing, building, and installing large projects on a case by case basis. As a small business with large capabilities, we are committed to providing quality products to our customers in the shortest time possible. From our competitive pricing to our ability to handle large, extensive projects, Finch Manufacturing & Technology is dedicated to meeting our customers’ needs quickly, efficiently, and with an intense attention to detail. The team at Finch truly believes in our mission to provide our customers high quality parts, equipment, and engineering services in a customer-centric manner that are delivered on-time and exceed their expectations. 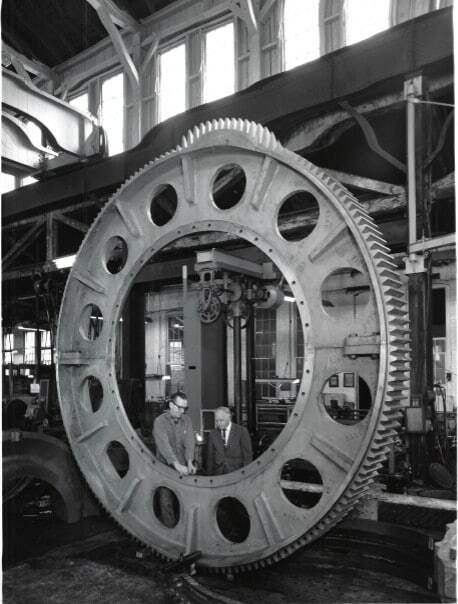 FMT’s management team possesses hundreds of years of managerial, engineering, and manufacturing experience. As CEO and Managing Partner, Bob brings over 25 years of executive decision making as a GM, COO, CFO, and President in business units ranging from $13,000,000 to $700,000,000 while managing 50 to 1,100 people. Bob will actively lead FMT’s strategic and operational planning as well as work hand in hand with the FMT team by leveraging his experience in financial management, project management, and business development. Over the past five years, Bob has given many hours of volunteer work to veteran’s organizations in the Philadelphia region. Bob served five years in the U. S. Army as a Quartermaster Officer with expertise in supply chain management prior to being medically retired as a Captain in 1991. Bob is a graduate of the United States Military Academy at West Point and received his masters from Johns Hopkins University. Bob is a Service Disabled Veteran. In 2017, Scott transitioned to VP of Sales to focus his efforts on Finch Technology’s business development, sales, and customer satisfaction. The previous 5 years Scott served as Managing Partner and CEO of Finch Technology overseeing all aspects of the business. Scott has over 31 years of engineering, construction, manufacturing, and operations management experience. Prior to joining Finch Technology, Scott served as Director of Operations at a large electric utility responsible for a workforce of over 500 employees. Throughout his career, Scott led increasingly complex projects, including multiple $30,000,000-plus strategic initiatives to accomplish key operational performance improvements. Scott is a graduate of Millersville University. Mike has 30 years of manufacturing experience and over 20 years’ experience as a General Manager. He has had up to 100 employees and managed multi-million dollar accounts. His knowledge of steel and milling processes is unmatched. He also completed courses in Business Management and Training. As VP of Government Sales, Steve leads our endeavor of identifying government contracting opportunities, responding to these solicitations and then working directly with government agencies in this challenging process. Steve has over a dozen years as a contracting, site selection, and economic development consulting. He has successfully achieved contract awards and grants at both the state and federal level. Steve is a graduate of Loyola College in Maryland. As our Manager of Engineering, Mike leads our design and engineering department and plays a key role in our DESIGN-BUIILD-INSTALL success. Mike is a master’s level mechanical engineer with over 10 years of experience in the design, process, and manufacturing fields. Mike comes from a highly hands on mechanical background with a quick understanding of the moving parts and work flow. He likes working on-site with customers to ensure their process is optimal or solve any issues. He takes great pride in working closely with our customers and ensuring the final project design, build, and installation meets or exceeds theirs. Mike is a graduate of Rochester Institute of Technology receiving his master’s from Wilkes University. As our Field Service Manager, Mike leads many of our large projects such as our DESIGN-BUILD-INSTALL projects and managing jobs from the field is his specialty. He has worked on projects ranging from $1K to $1.4MM and has a degree in Physics from Bloomsburg University. Our customers often request Michael to solve urgent equipment or system issues due to his ability to develop corrective actions or solutions while in the field. Michael believes that listening to the customer, improving processes, and working as a team are factors in a successful project. As a Project Engineer, Blake balances his time between engineering design and project management. He enjoys going to the field to assist with either small projects or working on the larger Design-Build-Install projects. Blake’s detailed understanding of mechanical components helps the team with the drawings required for our reverse engineering projects. During his college career, Blake was an intern at a leading manufacturing company aiding in product design and preparing models and drawings for manufacture. Blake graduated from Penn State University with a degree in mechanical engineering while specializing in machine design. Finch is capable of manufacturing both large and small scale equipment and machinery. Check out our different models of machinery, including boring mills, lathes, cranes, saws, and welding equipment. 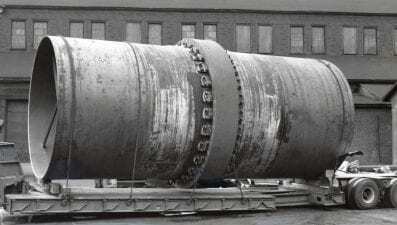 Some of this equipment is the largest in the industry.